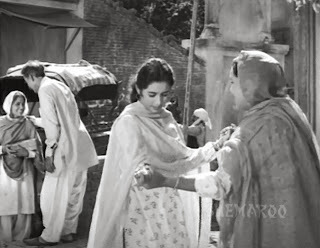 Ever since I was old enough to understand films, I was keen to see 'Usne Kaha Tha'. One of the reasons was that my father was doing something different for a change, he was playing the heroine’s(Nanda) husband. All I had seen him do was either play the villain or the father and usually not the affectionate father that he was in real life. There were a few films where he did play the affectionate father but they were more the exception rather than the rule. 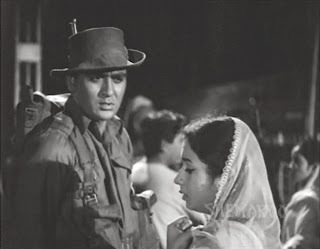 The other reason being, my father was brought back from the jaws of death by the film’s hero (Sunil Dutt). Right from my childhood I used to see a copy of this magazine called Sport and Pastime, I had read my father’s interview in that magazine where he talked about how Sunil Dutt saved his life and I was intrigued. In fact my mum used to often recall that this film was quite an eventful film for my father, as he had a few near misses in this film. 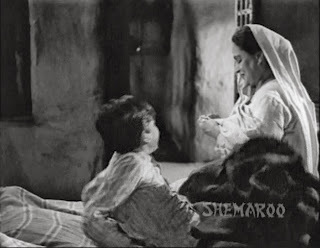 I noticed that my mum was not very enthusiastic about the film, I realized why, when I finally saw the film a few years back at a screening organized by (late) Bimal Roy’s daughter Rinki Bhattacharya. I was so bored that towards the end I was eager to just get up and go, but I was keen to see that fateful scene and I decided to grit my teeth and sit through the film. The basic problem with the film directed by Moni Bhattacharjee is that, it is based on a short story by Chandradhar Sharma Guleri. The short story has been stretched to accommodate the length of a Hindi feature film and when you stretch something beyond its limits it breaks. In this case since it is a film, it got real boring. The film is about Nandu who lives with his widowed mother Durga Khote in a village, he appears to be a happy-go-lucky boy. He first meets Kamli when she comes to visit her mama (maternal uncle). The maternal uncle lives with his wife in the same village. 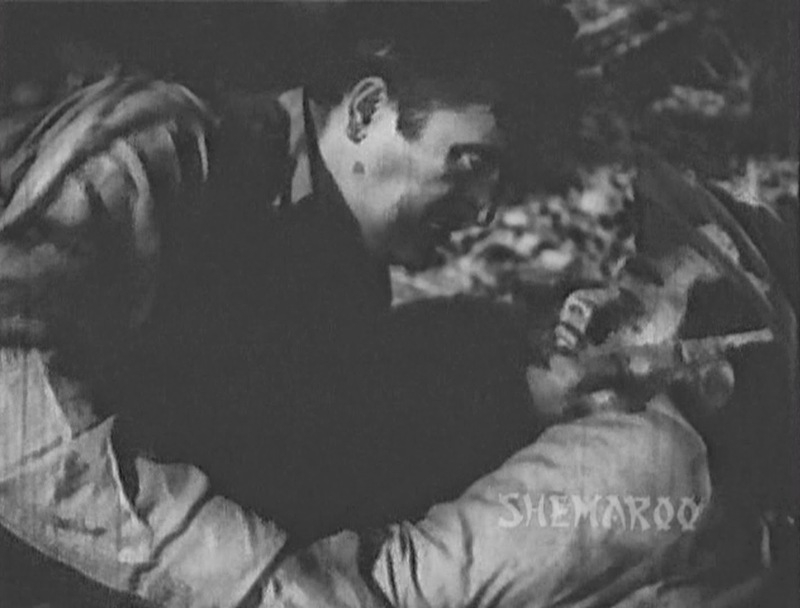 Even after growing up Nandu (Sunil Dutt), continues to lead his aimless life indulging in cockfights and so on. In the meanwhile Kamli (Nanda) now grown up and having lost her father comes to live with her maternal uncle and aunt along with her mother. Nandu and Kamli fall in love. However their bubble of happiness bursts when Nandu realizes that Kamli’s uncle will never agree to their marriage as he is unemployed. He therefore decides to join the army. 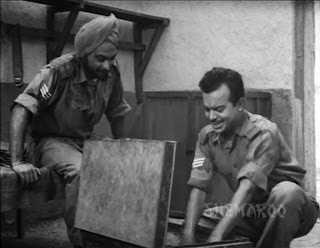 Havildar Ram Singh is eagerly packing his bags and is proceeding on leave to marry Kamli. When Nandu returns to his village on a short leave and finds out Kamli is going to get married (though he is unaware of the groom's identity), he is so upset that he cuts short his stay. 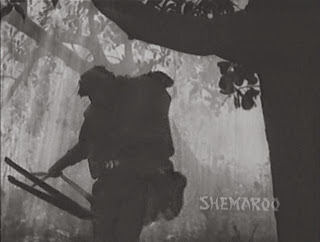 After getting married Ram Singh returns to his unit only to see Nandu fighting with a fellow soldier. He breaks up the fight and being his superior, he is compelled to take disciplinary action. This is the first interaction between the two. Despite the initial hiccup in the relationship they soon develop a cordial relationship. 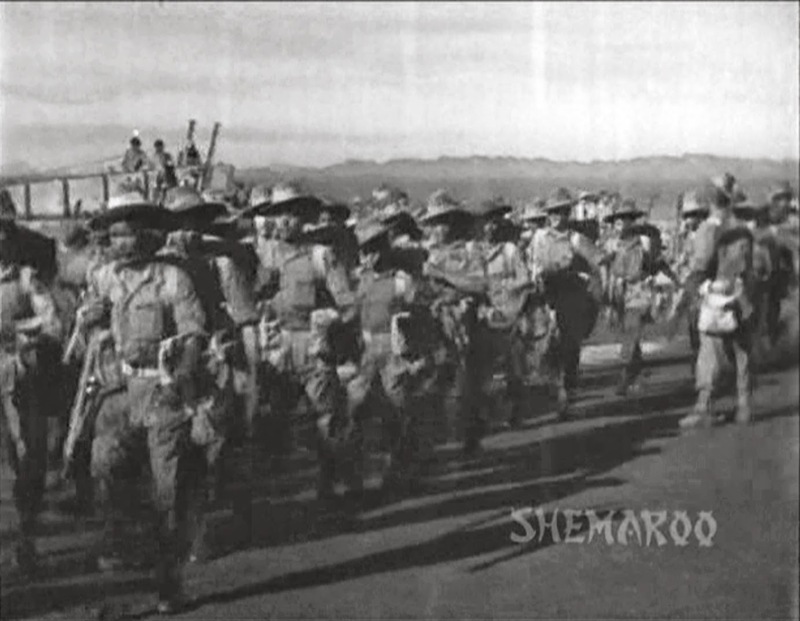 War breaks out and all the soldiers have to report to the war front. Family members come to see off the soldiers at the railway station and it is here that Nandu meets Kamli again and learns that her husband is none other than Ram Singh. Kamli asks Nandu to take care of himself and requests him to take care of her husband.Nandu keeps his promise to his beloved by saving Ram Singh from being crushed to death by a tank on the battle field. He carries the injured Ram Singh on his shoulder to safety but in the bargain endangers his own life. Both meet at the army hospital, Ram Singh is shocked to see Nandu’s condition, he asks him, "Why did you put your own life in danger in order to save my life?” Nandu’s only reply before breathing his last is. “Usne kaha tha”. (She told me to). You can watch the scene below. and Jaane wale Sipaheese Poocho. The latter is quite soul-stirring. I noticed that it is written by Makhdoom Mohiuddin, I have never heard of this lyrics writer. My father and Sunil Dutt had to undergo some basic training to be able to perform their roles as soldiers with some degree of conviction. This training was not something new for my father as he already had some training while in college. 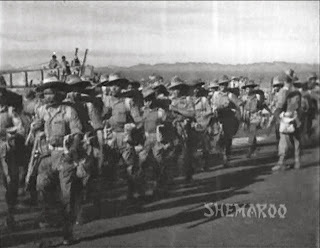 He was a member of UOTC (University Officers Training Corps) which came to be known as NCC (National Cadet Corps) after independence. I did say this was an eventful film, actually no, the right words should be an accident prone film for my father. While shooting the wedding sequence, my father had to wear the sehra which had some zari and certain stuff in it which got electrified when it came in contact with the electrical connections at a particular point on the set. While going round the fire for the saat phera sequence, my father felt a shock at one particular turn. He called “Cut” and told the director about it. The director and some members of the crew laughed it off saying that it was in his mind. He felt the shock again when he took the next round, he kept quiet but the the third shock was too much for him to bear and he fainted. It was then that the unit realized that my father was right and they called a doctor. According to my mum when my father came home that night, one look at his face and she knew that something had gone terribly wrong. His face had gone completely dark. In the screen cap above he has hurt his leg, here he was acting, but once he really did badly hurt his leg. 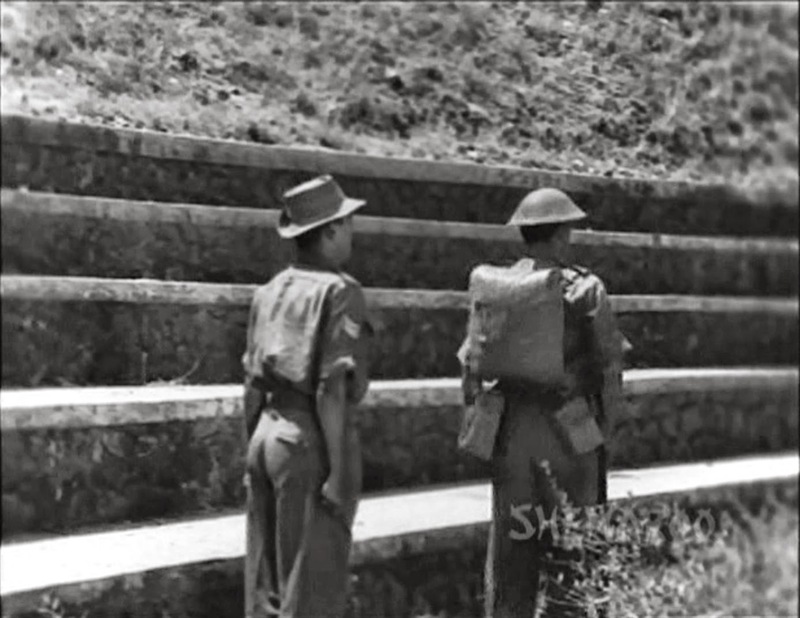 It was while shooting the the war scenes. 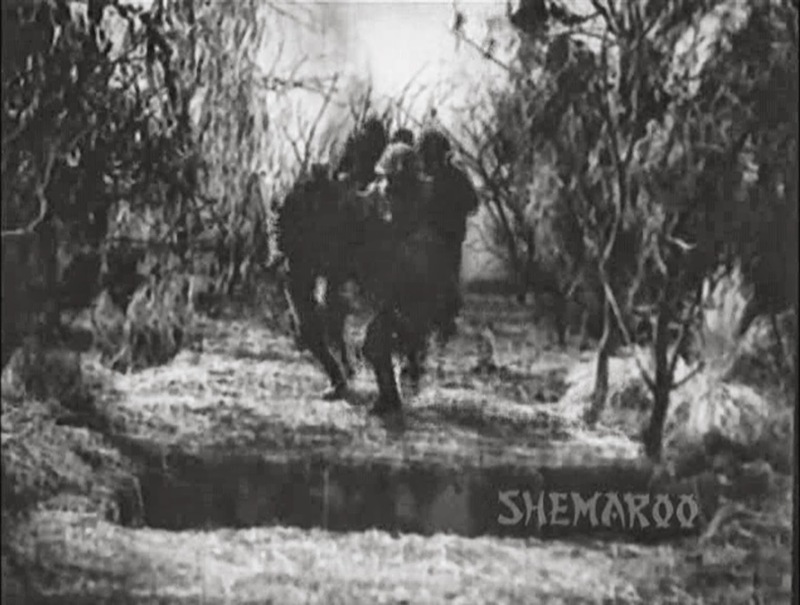 In one scene the soldiers had to jump over the trenches on the battlefield. A plank of wood was kept on the trench, the soldiers were supposed to come running, jump on the plank of wood and move on. One after the other the soldiers jumped on the wood, then Sunil Dutt jumped and then it was the turn of my father to jump. It so happened that the wood had begun to crack as each person was jumping on to the plank of wood. When my father jumped on to the wood, it gave way, and my father’s leg went right inside, he was stuck and was badly injured. 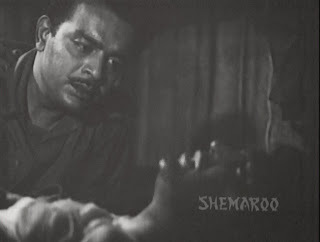 Once again when my father came home, my mother was shocked to see my father’s condition, I think it was Mukul Dutt- who like Gulzar was one of the assistant directors at Bimal Roy Productions- accompanied my father that day . There was no way my father could return home alone. 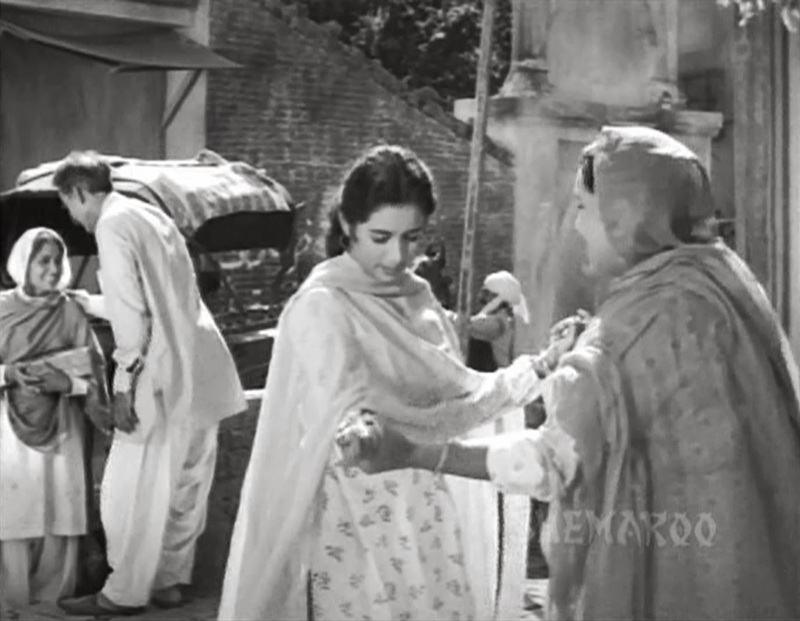 Incidentally Mukul Dutt, who married Chand Usmani, later directed my father in 'Aan Milo Sajna'. I have no memory of these incidents for I was just a toddler then. The final incident was the one where we almost lost my father and we only have Mr. Sunil Dutt to thank for having him with us a little longer. 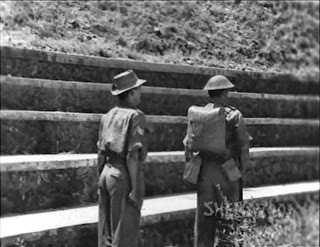 This incident also took place while shooting the war scenes. This was the scene where Sunil Dutt is supposed to save my father from under the tank. There was a lot of noise on the location, it was quite deafening with bombs blowing up and tanks moving around. 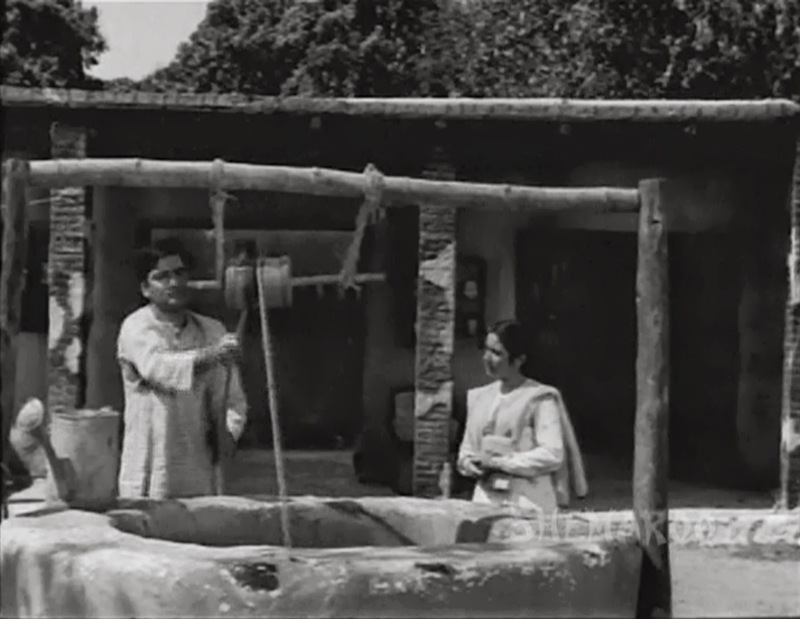 My father started moving when the director called action, blissfully unaware of the fact that some assistant had signaled the tank to move much before he was supposed to give the signal. The tank began rolling and the person operating the tank could not see my father moving in front. 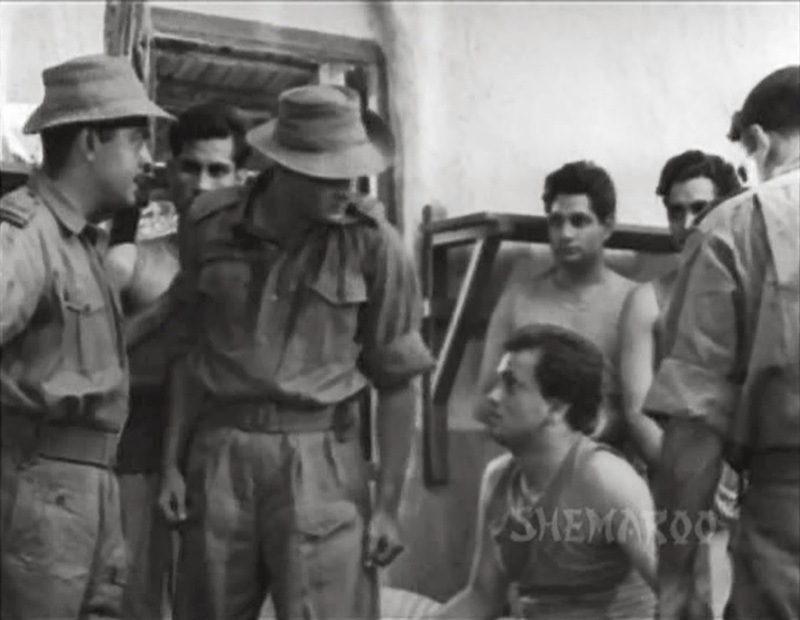 The members of the crew and the director were desperately shouting to my father to move away from front of the tank. 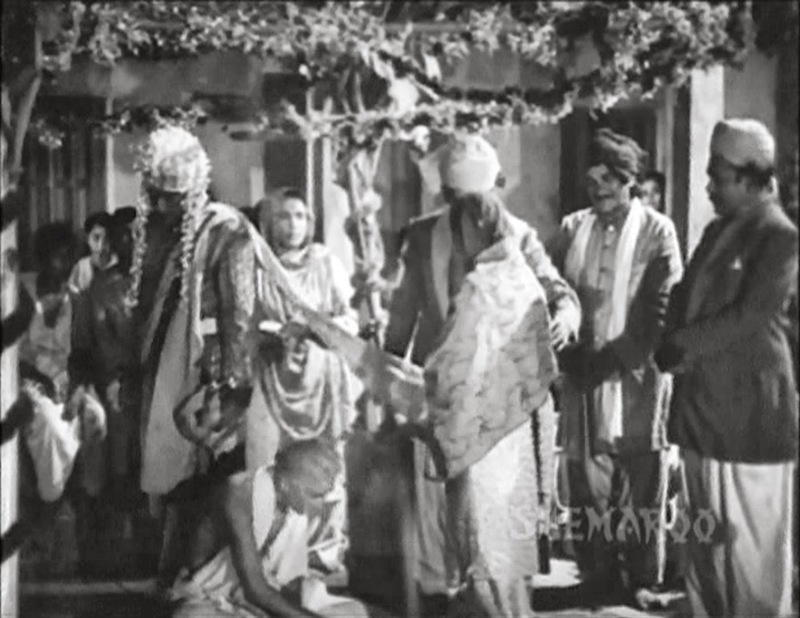 Thanks to all the noise around him, my father could not hear a thing and my father continued on his way, it was at this moment that Mr. Dutt decided to take the matter into his own hands and roughly pushed my father out of the way. My father was stunned and irritated by Dutt’s rough handling. However in order not to scare my father, the director decided not to tell my father anything and just told him that a re-take was needed. It was only after the shot was okayed that my father was told the truth. 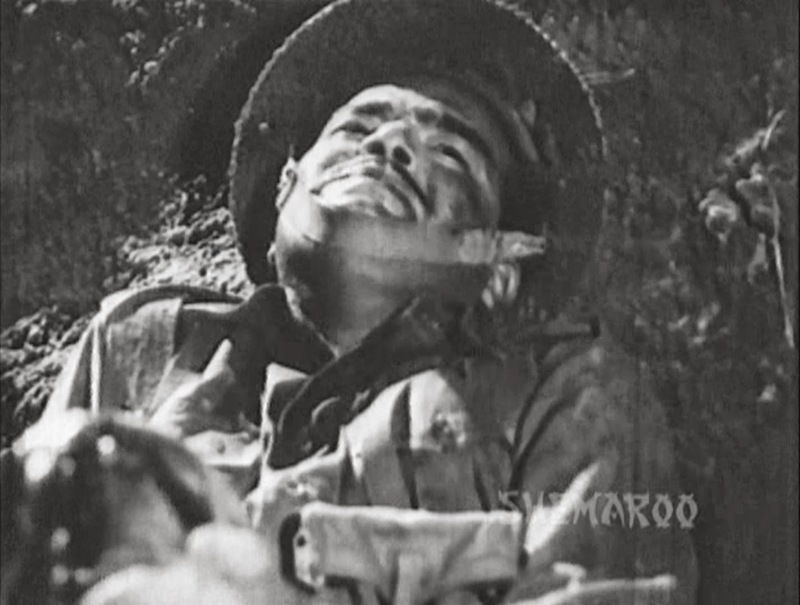 Now when I think of the day when Mr. Dutt and his wife Nargis Dutt came to pay their condolences – he held my brother’s hand and said, “Bhabhiji ka khayal rakhna”(Look after Bhabhiji) was he thinking about that day? 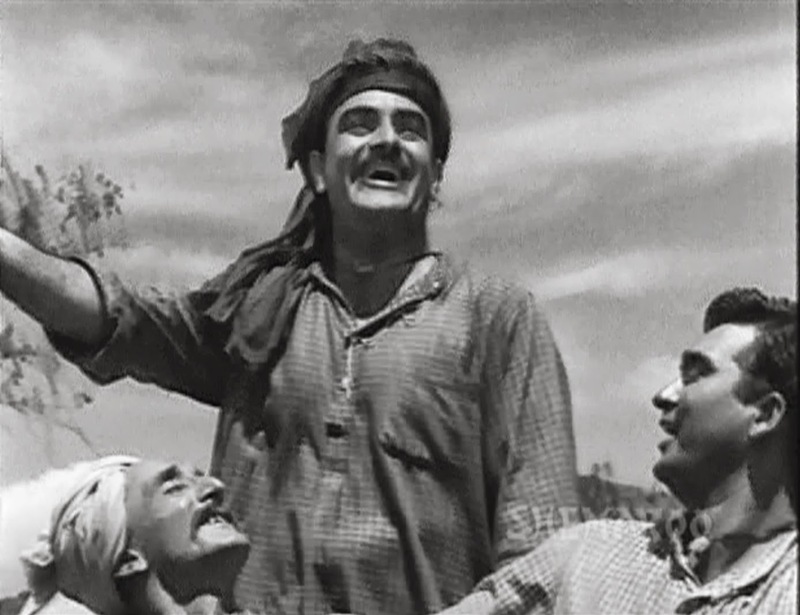 from 'Usne Kaha Tha' like Rashid Khan, Rajendranath (above), Durga Khote, my father, and Asit Sen (below) featuring in 'Mujhe Jeene Do' and yes the film also had the same director - Moni Bhattachrjee. Before I conclude this post, there is something interesting that I would like to share with you. I have seen that some celebrities keep track of all that appears in the press about them. I have also seen that they maintain scrap books of all the press cuttings. 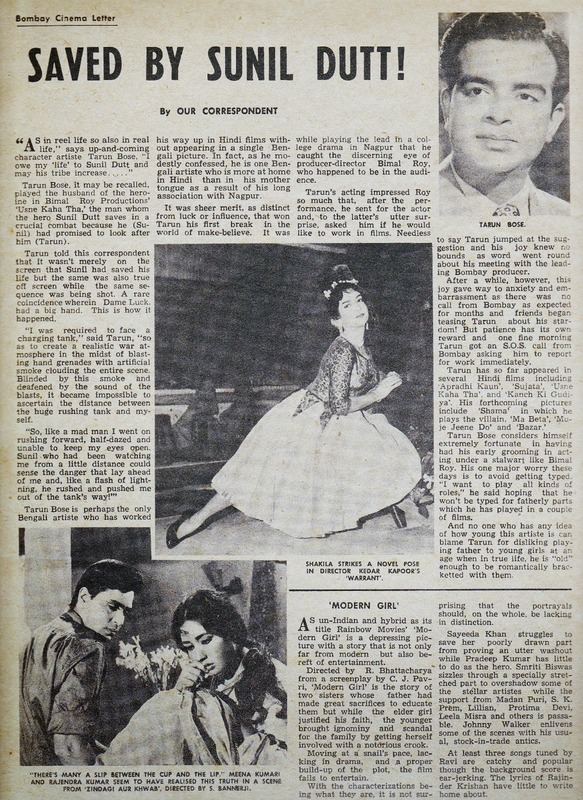 My father, however, was one of those who was least interested in keeping anything for posterity, he would have a look at what was printed just out of curiosity and promptly the magazines or papers would be handed over to the raddiwala (scrap dealer). 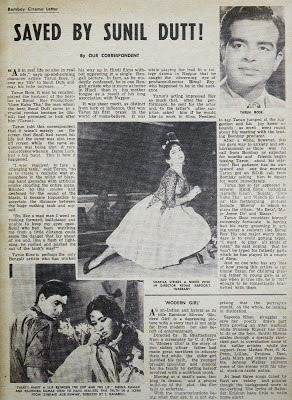 Fortunately some magazines did not make it to the raddiwala, now when I go through these magazines which are decades old and some of them do not even exist now, I find some interesting bits of information. Take a look at the cover (see below) of the Sport & Pastime magazine I have referred to above. The magazine was published from Madras (as Chennai was known then). The issue is from the year 1961, note the price on magazine cover-- it is 38np. India had adopted the metric system so 100 paisa was equal to a rupee as opposed to the earlier practice of 16 annas making up a rupee, therefore the paisa was called naya paisa and np was an abbreviation of naya paisa. Incidentally that is ace Indian tennis player Ramanathan Krishnan along with the Wimbledon Champion of 1961 Rod Laver of Australia. was likely to be offered, he obviously wanted to play different kinds of roles and as far I am concerned his role in 'Mujhe Jeene Do' was one such role. Lovely post. I have also heard that the movie is boring, a pity as the short story was moving enough to be turned into a good film. 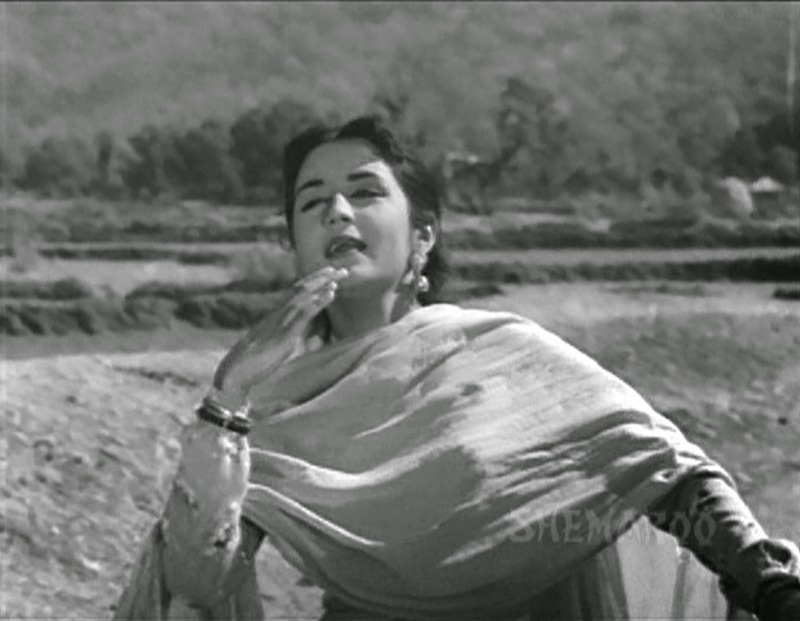 The songs are lovely, Aha rimjhim ke ye pyare pyare geet, machalti arzoo and jaanewale sipahi. Makhdoom was a famous ghazal writer. The popular song "Phir chhidi raat baat phoolon ki" was written by him, as were many ghazals sung by Jagjit Singh. Thanks Ava. Yes now I remember that beautiful ghazal, If I am not mistaken, as is the norm with most poets he uses his name in the ghazal. Shilpi , my god almighty he really escaped from the jaws of death then.Wonder how your dear mom must have taken all of this.Like alawys njyoed this too along withthe trivia. Waiting ofr Mujhe jeene do. Thanks Rajee, yes my parents were sure shaken up by this incident. Shilpi, what a rivetting post! 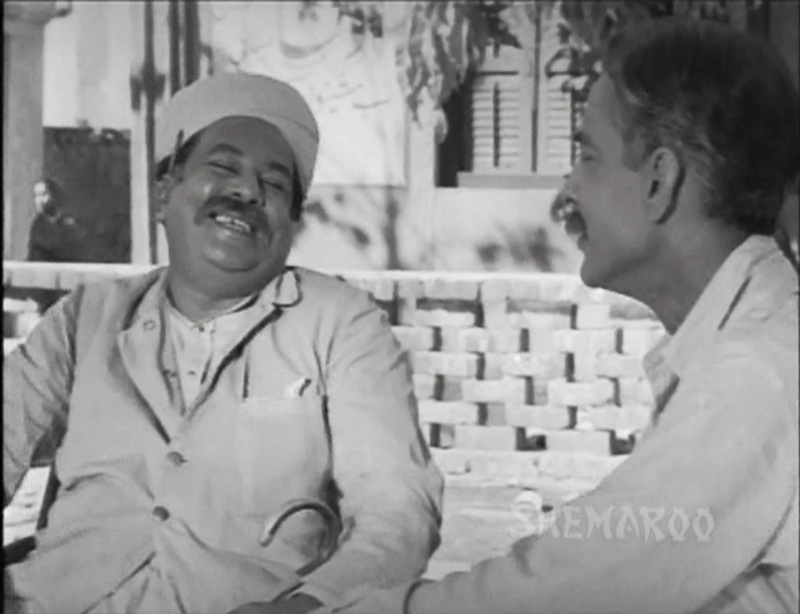 And what a coincidence that when I was writing up my Manna Dey post, I refreshed my memory of Jaanewale sipahi se poocho. :) Your father certainly had many near misses on this set! 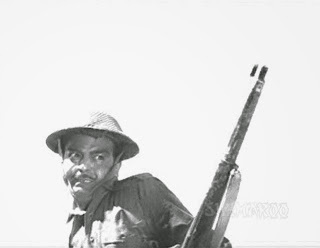 And Sunil Dutt seemed fated to play hero in real life once too often, didn't he? The score of this film is really lovely. Salilda really was a genius. It is unfortunate that so many of his really lovely songs languish in films like these. Thank you once again for an insider's view into the golden age of cinema. Thanks Anu. Yes Salil Chowdhury has composed some beautiful songs for films which had no impact at the box-office. 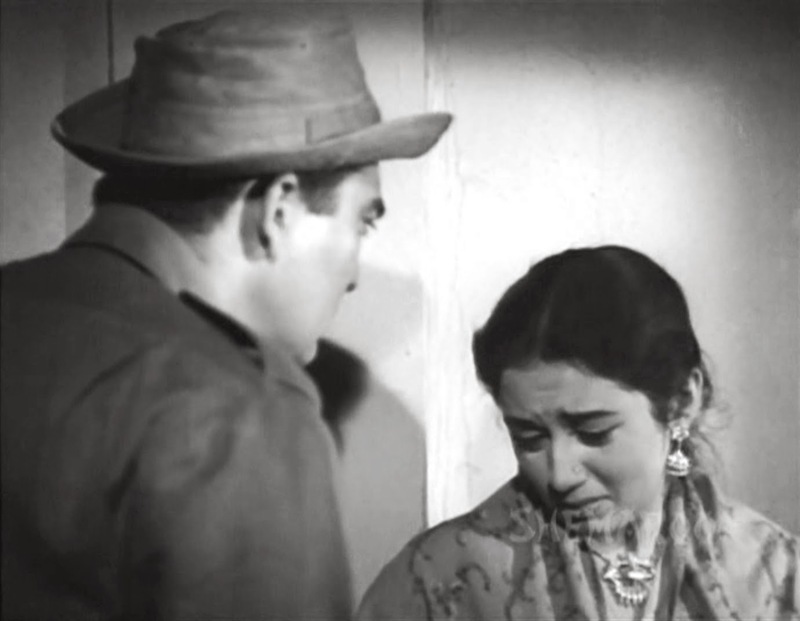 You are right about Sunil Dutt playing the hero in real life too, that is how he came close to Nargis. You are so right, Shilpi, about the story being stretched to the point where it became boring. I remember, when I reviewed this film on my blog, someone mentioned the story to me, and I finally went and read it. Lovely story, and it would've been very good as an hour-long TV film or something. Madhu long time ago during the good old days of Doordarshan and black and white TV, someone had made a TV film based on this story. As it was a short film, it stuck to the original story. Kiran Kumar played Sunil Dutt's role and I remember mum and I quite enjoyed the TV film. Unfortunately there was no You Tube then, it would have been ideal for it. 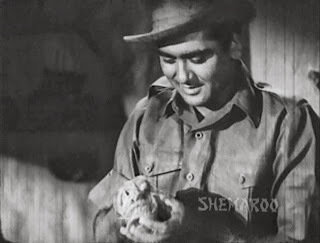 Yes Sunil Dutt appeared to be destined to play hero in real life too. Songs are fantastic, I liked the rural setting very much. Very frightening incidents. No wonder it didn't hold good memories for your mother. Sport and Pastime sounds like such a simple magazine, compared to the glossy yellow journalism most magazines are today. Would have liked to read that page you've posted about the accident, but couldn't get the zoom. Thanks Pacifist, you are really a writer's delight. I did not realize that someone would want to read all of it. Tell you what, sometime in the future I will do a special post on all these press cuttings that I have. They are just a few but all the same quite interesting. You are absolutely right about the simplicity about the magazine. Journalism itself was so simple and decent then. Enjoyed reading the post on Usne Kaha Tha. 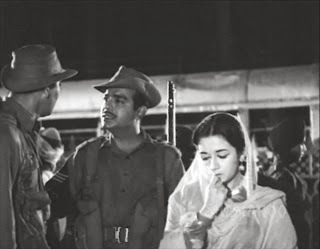 In fact, I do not grudge the drudgery of film being stretched too far, because quite a few of the films of that period, or for that matter most of our Indian films, suffer on the count of losing the grip over the story, in the process of including 'several' things for all possible viewers. 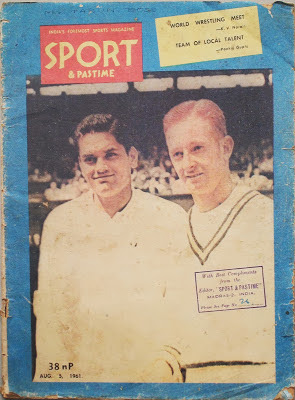 Cover page of Sports & Pastime, with Ramanathan Krishnan and Rod Laver was a big , unexpected, bonus. Thank you very much. You are absolutely right about Indian films trying to include several things and thereby losing the grip on the story. Glad you liked the cover page, it is quite interesting to read old magazines now. 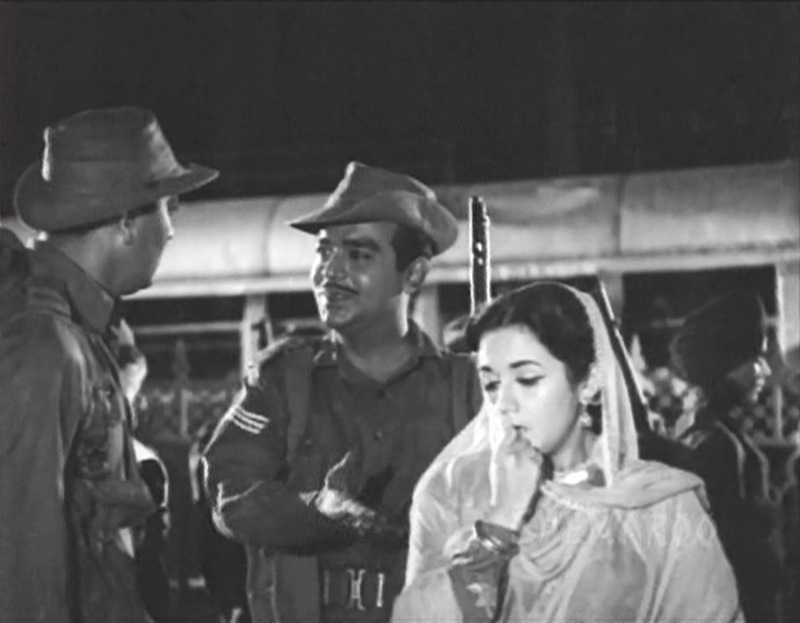 Sunil Dutt must have developed a habit of saving his co-artistes life! First Nargis and then your Daddy! :) Thank God, he did that! Thank you very much Harvey, yes you are absolutely right about their friendship. Excellent post, Shilpi! I was supposed to be doing something else, but this post kept me reading till the end and then I had to go back and read over some portions. 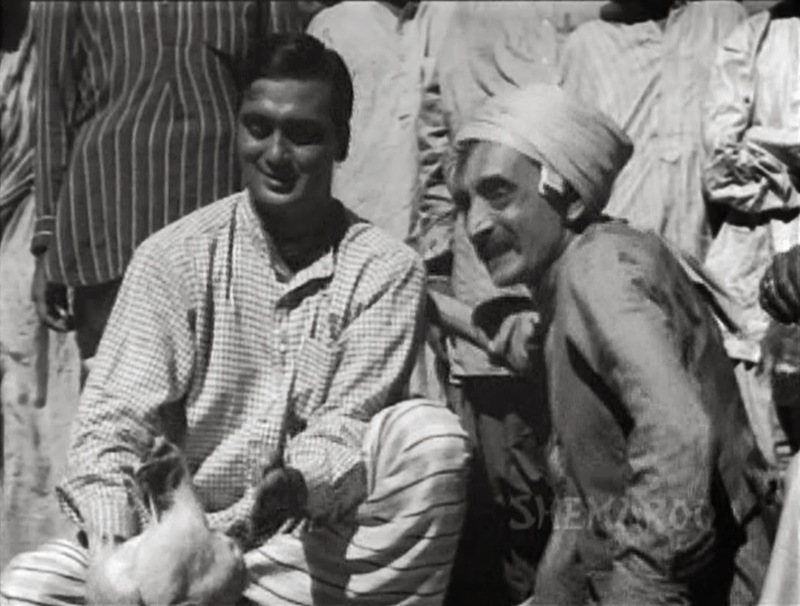 Sunil Dutt was a real life hero, saving lives both on and off-screen. Yes, Usne Kaha Tha was a flop, but the songs were wonderful, especially Aha rimjhim ke ye pyare pyare ... and Jaanewale sipaahi .... Thanks, again, for a wonderful post! Your most welcome, I am glad you enjoyed and thanks for the lovely comment. 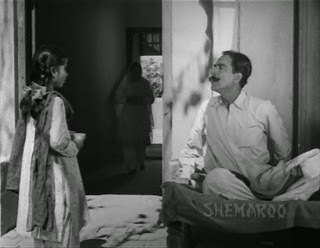 What a lovely blog...I was just watching Anupama the other day and thought how well the father's role was played by Tarun Babu. 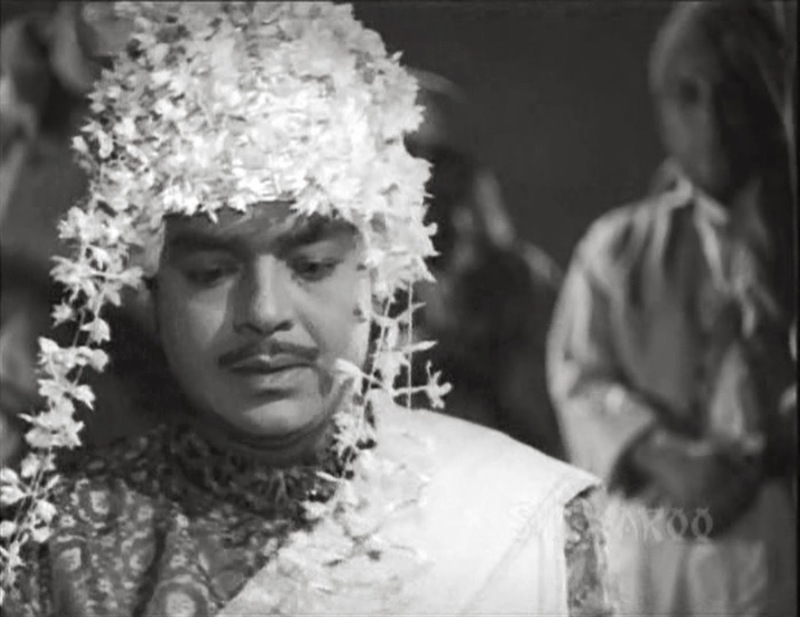 how smitten he looked in that dhere dhere machal song....and yet so dignified and stylish. 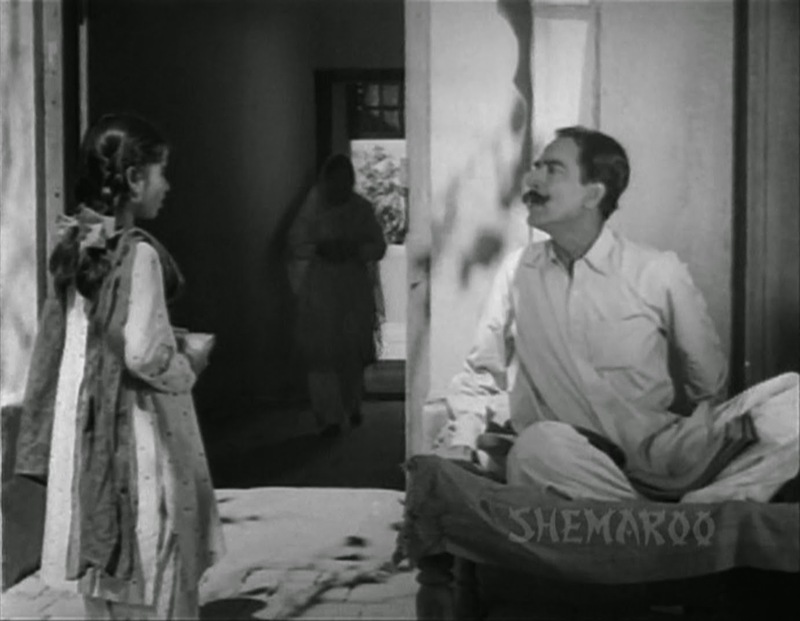 and the last scene where he allows his daughter to go away. i dont think anyone could have done justice to that role except Tarun Bose. Looking forward to reading on Anupama on your blog. Welcome to my blog Shampa,and thanks for the wonderful comment, yes Anupama will definitely feature in this blog. Hi Shilpi Bose. 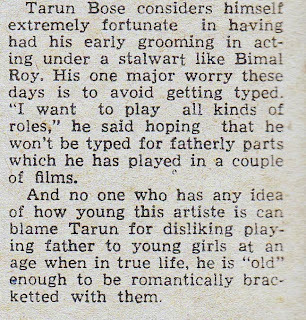 Came across your blog today and read about your dad Tarun Bose and Usne Kaha Tha. Thank you for sharing all the anecdotes above. Interesting. Your dad was a good actor. Always enjoyed watching his acts. What year did he left us and what about your mum now. Glad you enjoyed the post. My father passed away in 1972, my mother passed away 39 years later in 2011. TQ Shilpi Bose ji for the quick response. Sad to hear about both. A prayer for their souls. 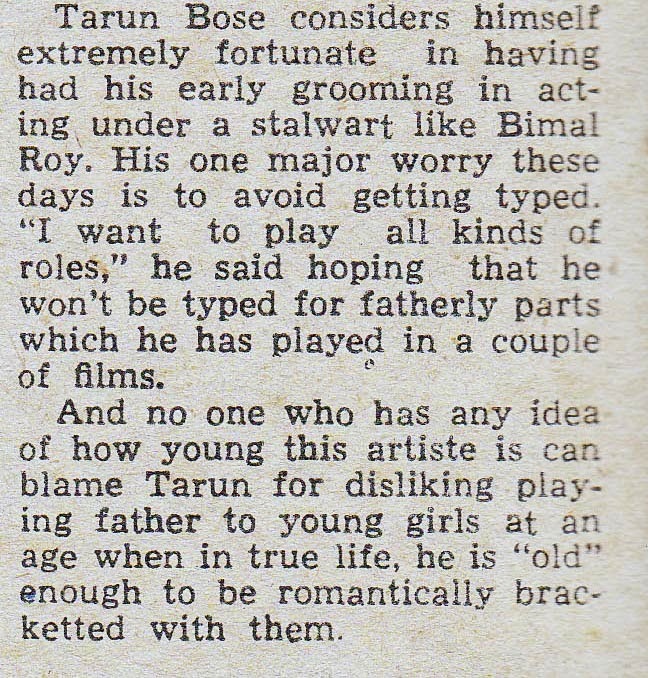 Have always been confused between your dad Tarun Bose saab ji and actor Gajanan Jagirdar saab ji. Not only both look alike, some similarities in their voices too. Sounds almost alike. No relationship not even ( as per the saying by the tail of the cow ) Shilpi Bose ji ?